Red Line offers the widest selection of fully-synthetic ATF on the market today. Each offer improved thermal stability, maintain viscosity levels, and feature lower volatility while providing the required frictional characteristics of each fluid’s OEM-style replacement. 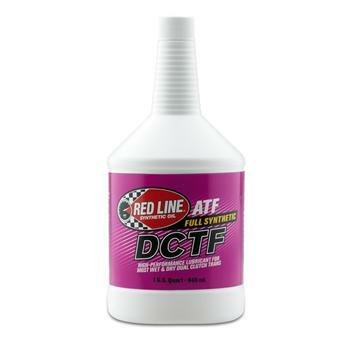 Red Line DCTF Dual Clutch Transmission Fluid reduces oxidation and lower volatility at high temperature. It also allows high-temp operation without varnishing valves and clutches. Designed to provide extreme protection in many wet and -dry-style dual clutch transmissions.